Their crime? Attempting to hold an open, public conversation about the future of their nation. Unfortunately, simple discussion and debate about the future of Ethiopia by Ethiopians is unacceptable to the government of Prime Minister Hailemariam Desalegn Bosh. 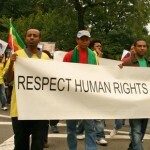 The authorities in Addis Ababa continue to designate this type of dialogue as dissent and an act of terrorism – using, as a shield for this denial of rights, violence by armed groups in the country. This isn’t the first time the Ethiopian government has used claims such as these to quash free expression. In 2011, two Swedish journalists were sentenced to eleven years for terrorist crimes when they attempted to confirm allegations from refugees of human rights violations in Ethiopia. That same year, the government of the late Prime Minister Meles Zenawi passed legislation granting the government sweeping powers to shut down non-governmental organizations (NGOs), newspapers and other possible sources of alternative viewpoints. The current government has zealously implemented those laws and, sadly, Zenawi’s approach has become a blueprint for other African countries bent on silencing civil society organizations in their countries. While circumstances now are bleak, Ethiopia has at other times had a thriving blogging community — before government censorship and harassment of bloggers silenced these voices. The faces of this crackdown are many, are powerful and are worthy of recognition. 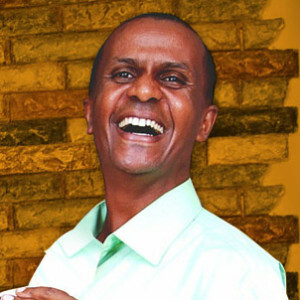 Prisoner of Conscience Eskinder Nega is serving an 18-year sentence for his legitimate work as a journalist in Ethiopia (Photo Credit: Amnesty International). For one, Eskinder Nega, an Ethiopian journalist and blogger, was imprisoned in 2012 for reporting on the Arab Spring protests and remarking that Ethiopia could face similar protests if the government does not undergo reform. Other leading journalists have also been detained or hounded in to exile. And the country’s leading human rights organizations has been effectively shut down after the government imposed severe restrictions on funding. The Ethiopian government does in fact face opposition from armed groups in some of its regions. But does blogging about the need for political reform or other key issues facing the country provide a concrete contribution to the armed opposition? Could this blog and the decision of anyone to read it constitute a threat to the Ethiopian government? On August 21, the hearing of the Zone 9 bloggers was postponed until October 15. A call to have the charges dismissed due to violations of procedural rules and illogical reasoning in the charge sheet also was dismissed. And a request for bail to be granted was refused. Even more, the court decided to continue with the trial against one of the bloggers, Soliana Shimeles, in absentia. 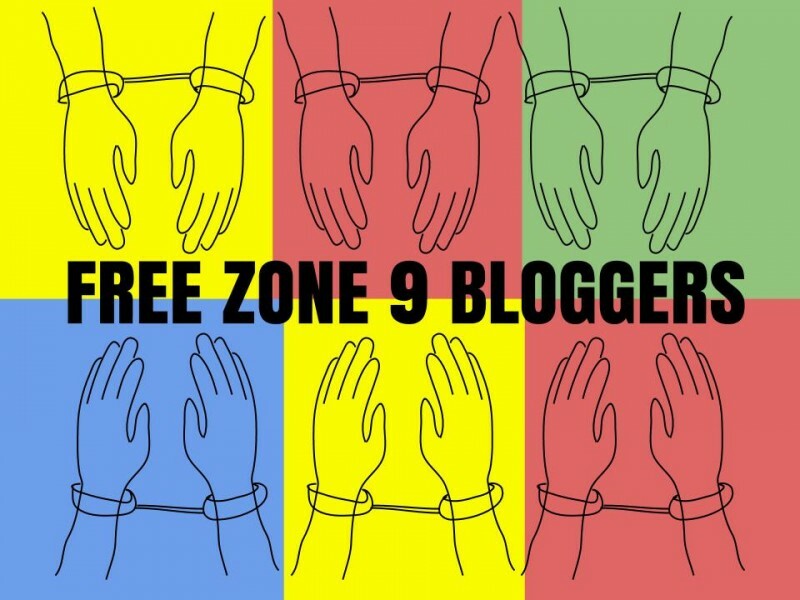 The Zone 9 Bloggers and journalists — Befeqadu Hailu, Atnaf Berahane, Mahlet Fantahun, Zelalem Kiberet, Natnael Feleke, Abel Wabela and Soliana Shimeles (in absentia), as well as independent journalists Tesfalem Waldyes, Edom Kassaye and Asmamaw Hailegeorgis– are all Prisoners of Conscience. They should be released immediately and unconditionally without charge – as should all other prisoners of conscience in Ethiopia. The government must be challenged to change its approach to governance before everyone in the country becomes a detainee of Zone 9. Join the fight for freedom in Ethiopia. Take action now. Deepa Mahadevan contributed to this post. This entry was posted in Africa, Censorship and Free Speech, Prisoners and People at Risk and tagged Abel Wabela, addis ababa, Africa, Asmamaw Hailegeorgis, Atnaf Berahane, Befeqadu Hailu, blogging, censorship and free speech, Edom Kassaye, eskinder nega, Ethiopia, freedom of expression, Hailemariam Desalegn Bosh, individuals and communities at risk, Johan Persson, Kaliti Prison, Mahlet Fantahun, Martin Schibbye, Meles Zenawi, Natnael Feleke, prisoners and people at risk, prisoners of conscience, Soliana Shimeles, Tesfalem Waldyes, United Nations Convention on Civil and Political Rights, Write for Rights 2013, Zelalem Kiberet, zone 9 bloggers by Adotei Akwei. Bookmark the permalink. where is the comment i made earlier?you did not post it.reason? you see,you dont stand for free speech.liar. You would have arrested me for airing my view.Correct? Thank you Adotei. Under this regime, It is not only those in already in the dungeon, but all Ethiopians feel they are in prison. Economically deprived, exploited, as well as politically silenced, Ethiopians feel like a caged Animal. 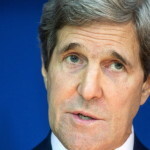 Despite this scenario, the regime remains a Washington darling. I wonder, what Washington will call the people when they try to fight back, terrorist or freedom fighters. Does it matter, but people will rise one day.